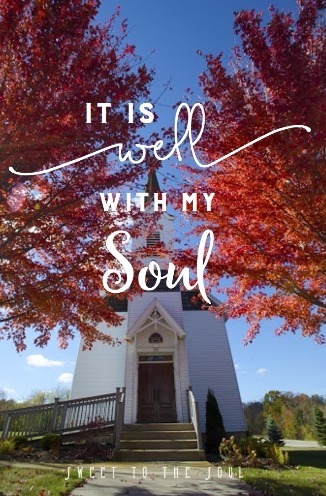 As a child in my small, traditional, Southern Church, where my grandparents were founding members, I was always excited when we would sing "It Is Well" and "Because He Lives". It would not have mattered to me if we sang them each and every Sunday because those two were my absolute favorite songs to sing in church. 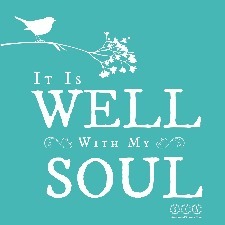 It wasn't until many years later that I would fall in love with "It Is Well". Only this time, instead of sitting on an antique pew surrounded by church goers in their Sunday best, I was surrounded by other band parents listening to our kids play on the marching band field. I had never attended a Friday night football game where the crowd silenced and you could hear a pin drop, until the first time our band stood on the field and began to play On A Hymnsong of Philip Bliss, and arrangement by David R Holsinger of It Is Well. There was something Holy and special that happened that night and every performance after. For me, each time my son's marching band stood on a field and began to play, my heart would stir and I could feel faith grow a little deeper in my soul. And I wouldn't know how important those moments were until a year later. I found myself staring at a doctor listening to him say I was diagnosed with an aggressive breast cancer. I was devastated at first, but soon I found a familiar melody in my ear. ​Stephanie K Adams is married to her high school sweetheart, Rick. They have two young adult children, Camilla and Joshua, as well as their tiny fur-baby, a Yorkie named Gracie. Stephanie enjoys reading, a good cup of coffee, Saturday breakfast with her husband and being a band mom during marching band season. So good to read your testimony here today, Stephanie! I'm praising God with you for your healing. It's wonderful how music does, indeed, comfort our souls.